Magongwa and Celia have rejoiced in the misery of others and their greed has blinded them to how much they have hurt people around them all in the name of power and money. Skeem Saam viewers have watched helplessly as Magongwa stole Mma Thobakgale’s job from right under her nose, with Celia’s help of course. But now their plan is about to come tumbling down and Twitter is ready. Thanks to Magongwa Mma Thobakgale was thrown under the bus, Meneer Manaka lost his friend and was accused of not being trustworthy. All this, so Magongwa could emerge as a hero and get the principal’s job. 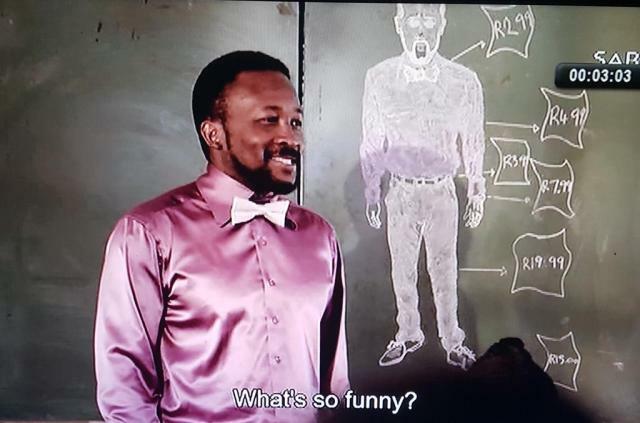 However, all their schemes are catching up with them and on Monday’s episode Magongwa’s tongue slipped and he confessed to playing a part in getting Mma Thobakgale fired. He didn’t even realise what he did, so he has no idea what trouble he is in. Meanwhile, Twitter was getting really tired of the evil pair anyway and they are ready for judgement day to arrive.